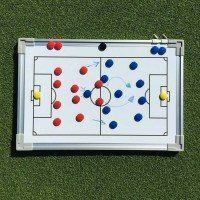 Those looking to add professionalism to 5-a-side soccer need look no further than this 12 x 4 aluminum soccer goal. 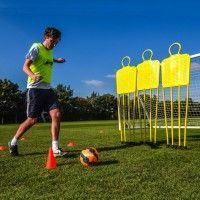 Suitable for use during matches and tournaments as well as training sessions, the 5-a-side soccer goal is a versatile option for clubs, coaches, schools and sports centres alike. Having been manufactured from 60mm aluminum, the goal frames are undeniably tough. In spite of this heavy duty design, the posts are deceptively light in weight, and capable of being carried by two people. 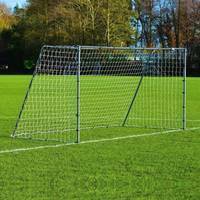 For storage purposes, the goal includes space-saving galvanied steel foldaway goal frames. 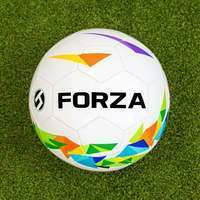 For outdoor 5-a-side soccer, or club training sessions, the weather-resistance of this aluminum soccer goal puts it in a league of its own. 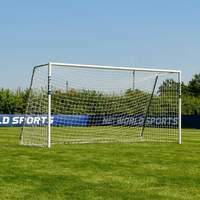 Comprising of powder coated frames and a weatherproof HDPE net, the goal is fully capable of being left assembled outdoors without being compromised by rust of corrosion. 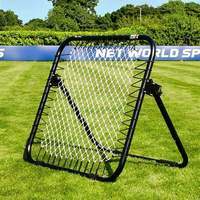 Breathe new life into your 5-a-side soccer equipment with this top of the range aluminum soccer goal. 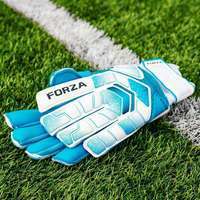 12 x 4 is the official regulation size for 5-a-side matches and tournaments, although the premium quality of this goal makes it equally suitable for club training sessions. 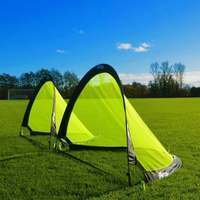 Fully weatherproof and highly durable, the aluminum soccer goal is perfect for outdoor use as well as classic indoor 5-a-side matches. 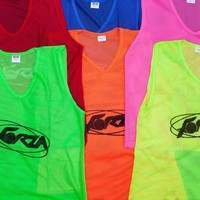 As well as being an ideal soccer goal for clubs, the 5-a-side capabilities also make it a premium option for schools, coaches and sports centres. 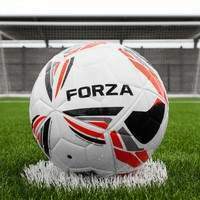 The official regulation size 5-a-side soccer goal employs exceptionally high standards of manufacturing, resulting in a soccer goal that’s guaranteed to be in it for the long haul. 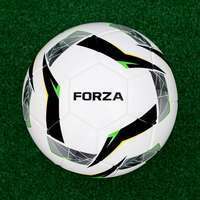 Whether it’s dealing with the impact of the ball itself, or the wear and tear of regular use, the 60mm reinforced aluminum framework will stand the test of time. 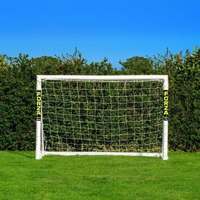 Having been powder coated in a classic white, the weatherproof soccer goal can endure the depths of winter as well as sunkissed summer afternoons, boasting the ability to stay set up outdoors throughout the season. 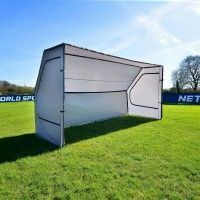 While 5-a-side matches are typically played indoors, this 12 x 4 soccer goal performs equally well outdoors, and can be used on any flat playing surface. 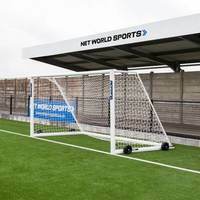 Its freestanding design eliminates the need for permanent fixing to the ground, allowing the goal to be shifted between playing venues, perfect for both training and match use. 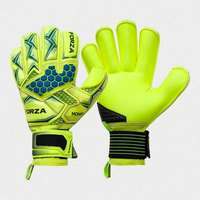 Incredibly strong and stable, while also being light in weight, the goal can be lifted and moved by two people without exerting excessive amounts of effort before kick off. 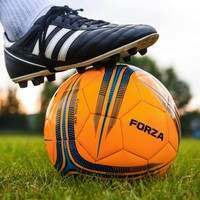 Safety is key, and as these 12 x 4 5-a-side soccer goals have passed independent testing to BS EN 8462 safety standards, as well as adhering to FA Match standards, the aluminum goals pose no risk to players during use. 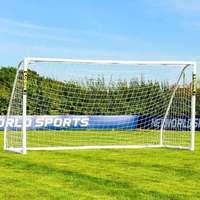 For the full 5-a-side soccer package, a premium 3mm HDPE braided goal net has been included to provide durability and quality performance. 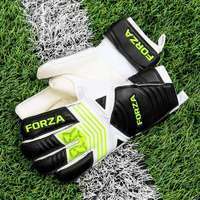 The twine netting adds an extra layer of professionalism with its classic white coloring, featuring the strength to handle the best strikes that your 5-a-side squad can manage.